One of my favourite things to do while travelling is to check out food that comes from the source and take beautiful landscape photos. Vineyards are one of the best places to do both, since the sunny weather found on vineyard country usually makes for a nice photo. While I do not drink much wine and neither am I that knowledgeable about them, I had some Chilean wines before and liked them. 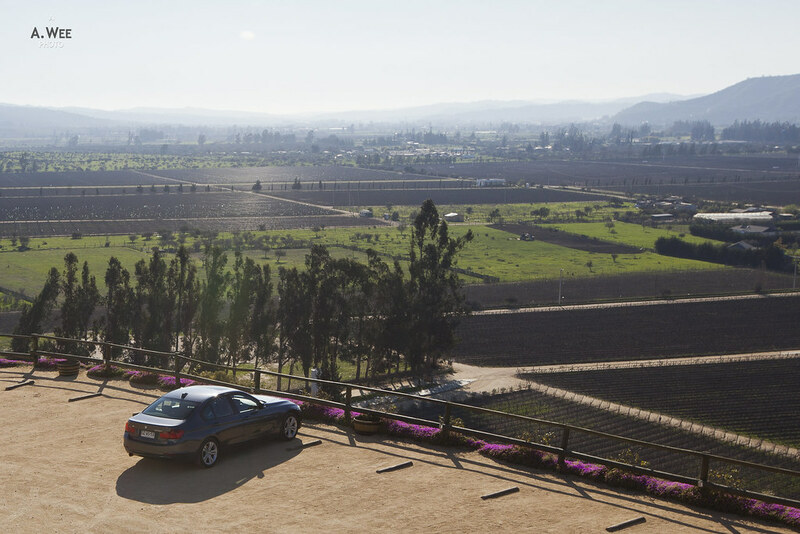 Since they are considered to be not too expensive, I made it a point to stop by some vineyards in Casablanca Valley on my drive from Santiago to Valparaiso. 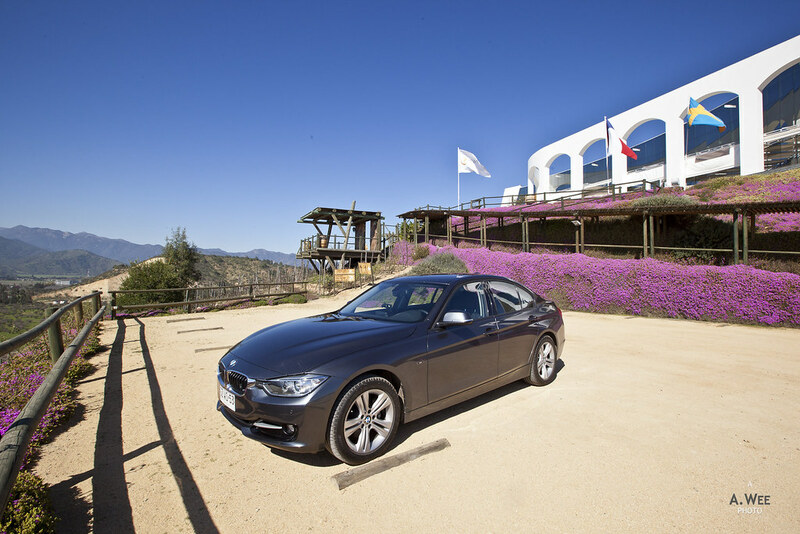 For the drive to Valparaiso, I had rented a BMW 1 Series hatchback from Sixt in Santiago since I was travelling alone and I was surprised when the car rental agent delivered the car to the Grand Hyatt and what appears to be a nearly brand new 320d waiting for me. Another great feature of renting from Sixt in Santiago is that they can deliver the car and pick up the car from the hotel or a location of your choice. This was certainly a great idea! With the car ready, I embarked on a mini roadtrip to the Pacific coast, making a stop at Vina William Cole in the Casablanca Valley. 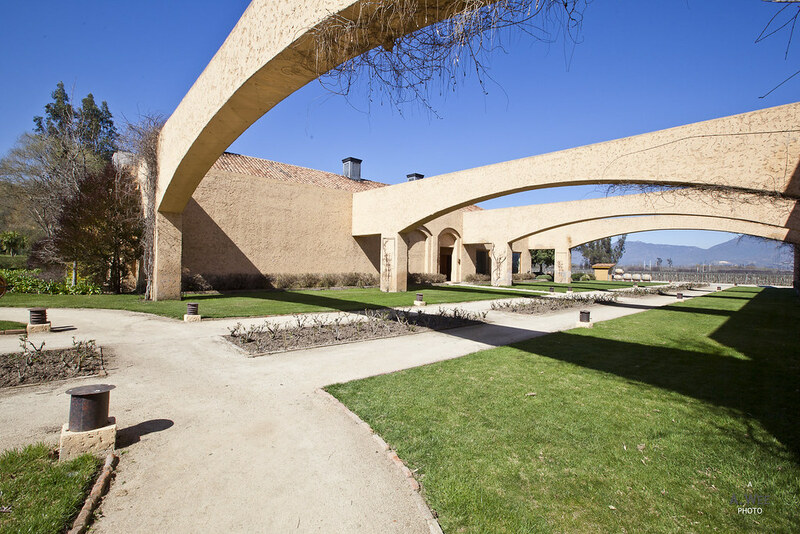 Perhaps it was winter season when I visited but vineyards in Chile are quiet and not many have restaurants though some do offer wine tasting for a fee. Being the only guest that particular morning, I just browsed through the shop and got myself a small bottle of Carmenere. 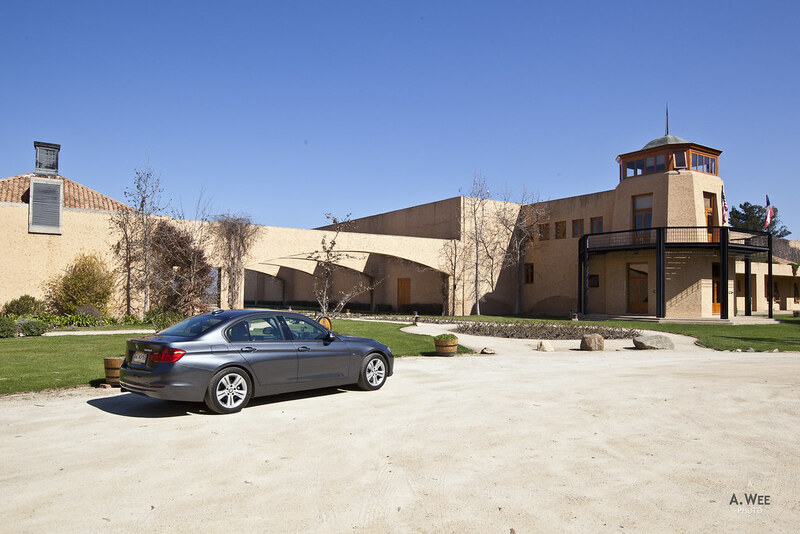 Located in the valley itself, the views from the vineyard was none to be had though the lodge itself is nicely done up. Thus it was a short visit before I proceed to the next vineyard. 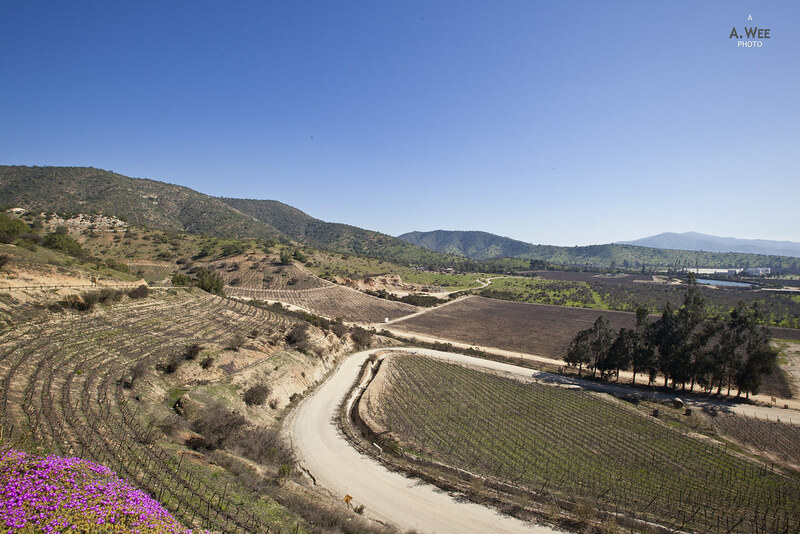 Probably the most impressive vineyard in Casablanca Valley would be Vina Indomita, and this was the second vineyard I visited. Driving through a dirt road flanked by trees, there was a security guard who took down your license plate before ushering you up to the reception located high up on a small hill. 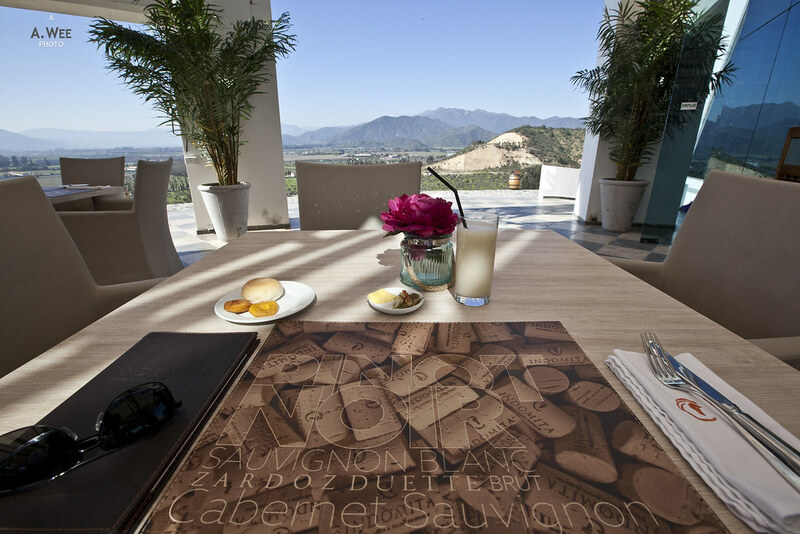 By virtue of its location, the vineyard has a spectacular view of Casablanca Valley. The owners of the vineyard has also made use of its location to place a restaurant with an outdoor terrace section overlooking this view. There were other visitors here buying crate-loads of wine though I was happy to just grab some lunch at the restaurant. It was considered a late lunch since I was seated around 2pm and the restaurant and vineyards does close early in the afternoon so visitors ought to come early if they want to visit. I started off the meal with a soup which was served warm. Just plain old good pea soup that was flavoured perfectly. The bacon and scallops add a nice taste to make the whole soup richer. For drinks I had a chirimayo juice which is similar to soursop, as I was driving and I reserved my consumption of alcohol to later for dessert. With a great start, the main course was very pleasing once again. I had a seared conger eel dish and the fish was cooked perfectly, giving it just the right texture and it was wonderful when paired with the abalone salsa. This abalone sauce comprised of diced abalone with tangy peppers and some tomato, placed underneath the fish. There was also some dried perilla leaf spread over the fish. Accompaniment included a generous serving of mashed potatoes that was also good but the portion of the fish was large enough that I found myself not being able to finish the potatoes. Ending the meal, I ordered a chirimoya in orange dessert with a glass of the winery’s Late Harvest wine. While not as sweet as Canada’s icewine, I thought the Late Harvest was quite good as it was a blend with Gewürztraminer. Though the dessert itself was not up to my expectations. The mousse did not have a very nice texture and I felt like it lacked a certain character. I should probably have just passed on the dessert and savoured the wine on its own or with some pralines. 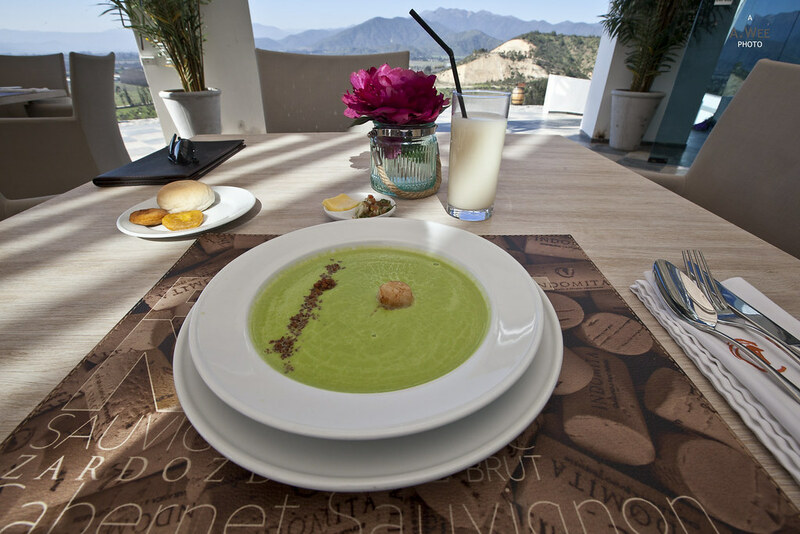 Two out of the 3 dishes I ordered was actually very good, and I certainly would recommend a visit to Vina Indomita if you want a great view with food for lunch while touring Casablanca Valley in Chile. 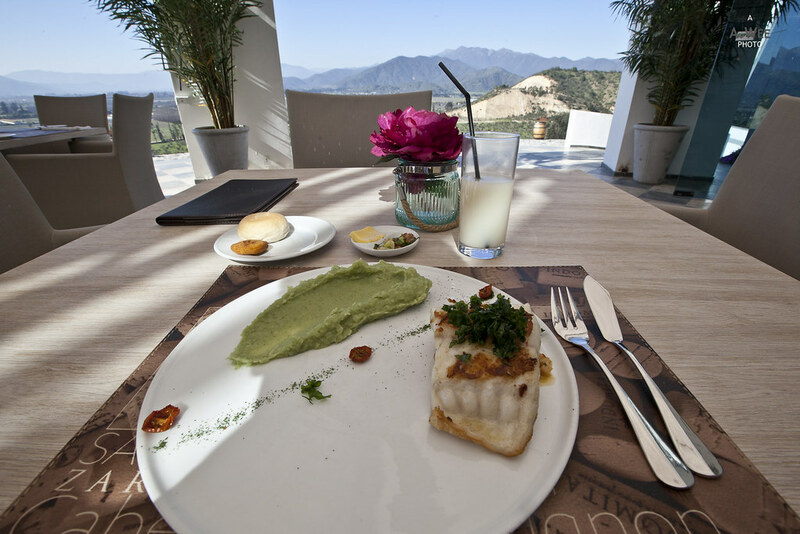 The restaurant was also quite good in the use of Chilean ingredients like conger eel and chirimoya in their culinary creations and the food was creative in its own way, such that it reaffirms my view that vineyard country always have a way of offering great cuisine. 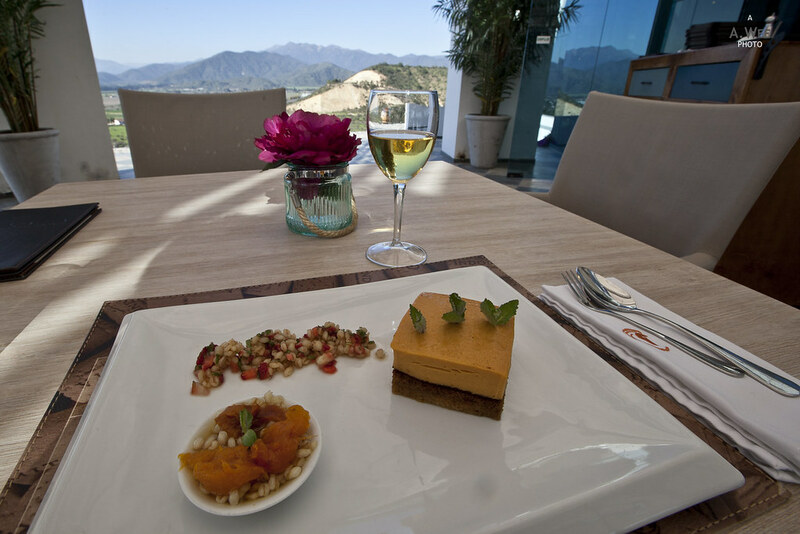 After all, what could be a better way to showcase your wines with fantastic tasting food?